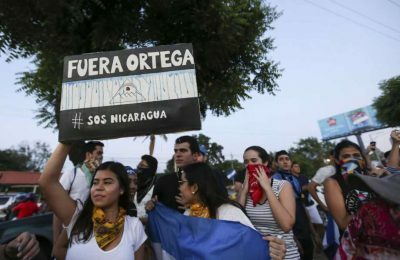 Selected Articles: US Destabilization Lineup: Is Nicaragua Next? This week, Canada is hosting a meeting of foreign ministers of the G7. But on this occasion, Freeland has made it into something of a G8 by inviting along her Ukrainian counterpart, Pavlo Klimkin. On April 22nd, an unnamed U.S. “Senior Administration Official” told a press conference in Toronto, that the only possible circumstance under which the U.S. Government will agree to pay anything for the harms (bombings of infrastructure etc.) it’s doing to Syria, would be if Syria will agree to cede, to U.S. control, a portion of its land.